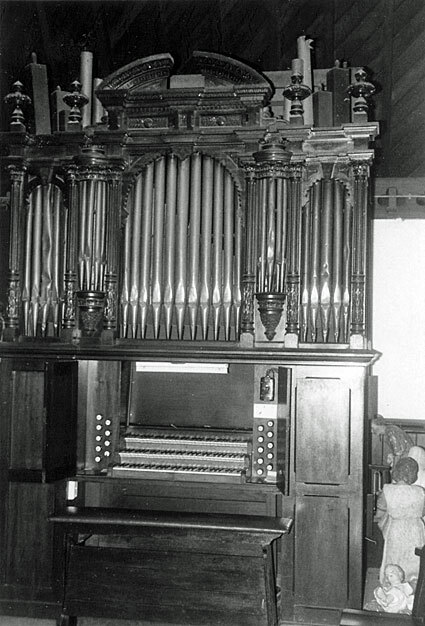 Wilson's name is associated also with the Willis organ now at the Uniting (formerly St Andrew's Presbyterian) Church, Gympie, which he purchased in 1884 for his own residence, but disposed of it in 1887 to the Wickham Terrace Presbyterian Church, Brisbane. 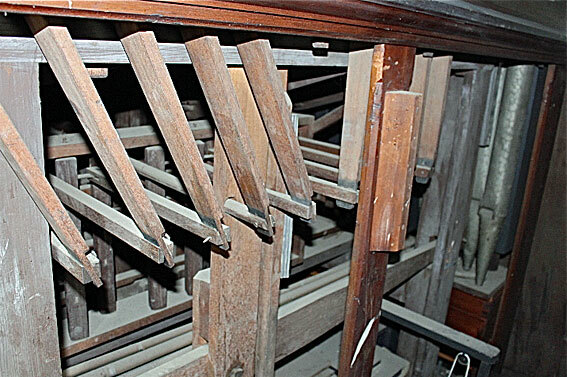 Graeme Rushworth's conjecture that the Fortitude Valley instrument dates from c.1888 is presumably based on the assumption that Wilson acquired it after disposing of the Willis instrument.7 This date can now be shown to be incorrect. CONSECRATION OF ST. PATRICK'S CHURCH. 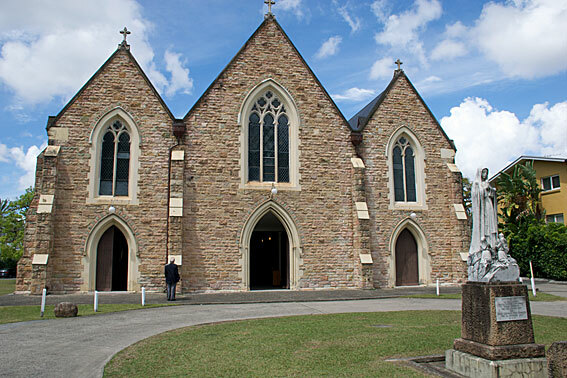 The Roman Catholic Church of St. Patrick, Fortitude Valley, was consecrated yesterday by his Lordship the Right Rev. Dr. Dunne, and dedicated to the purposes of divine worship. 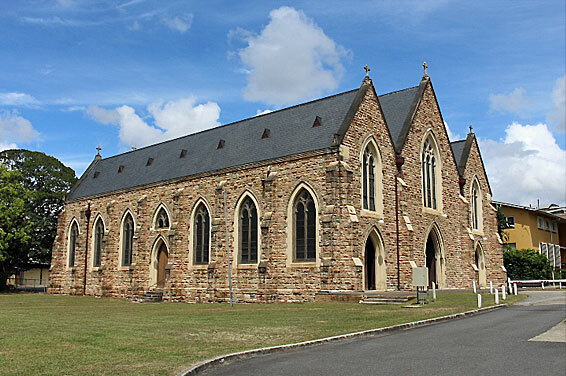 The church is situated in Ann-street, Valley, on the site of what was formerly called the Paragon Nursery. The foundation stone was laid by the late Bishop O'Quinn about two years ago, and the edifice as it now stands reflects great credit on the architect, Mr. Stombuco, and Mr. O'Keeffe, the contractor. The building - a handsome one of Gothic architecture - is of the best description of dressed rock-work, faced with stone from Murphy's Creek. 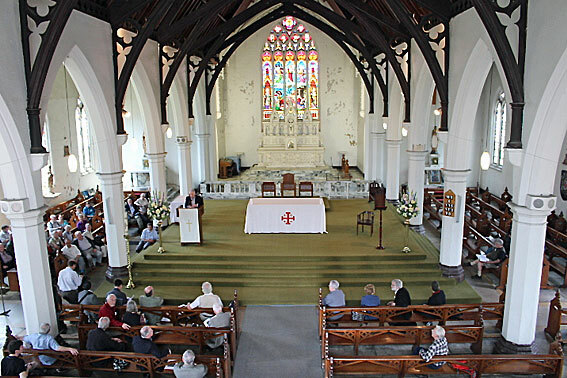 It is composed of a centre and two side aisles with chancel and vestry. 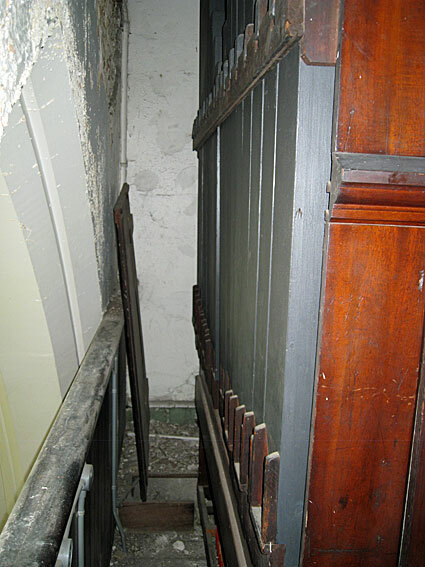 Now that the date of the organ's installation at St Patrick's is known, it appears that it may have been built for W.H. 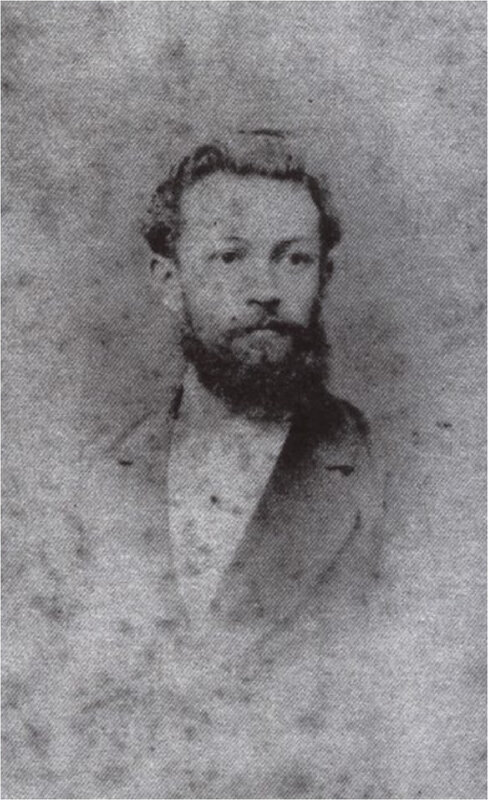 Wilson around 1881, when he returned to Brisbane. 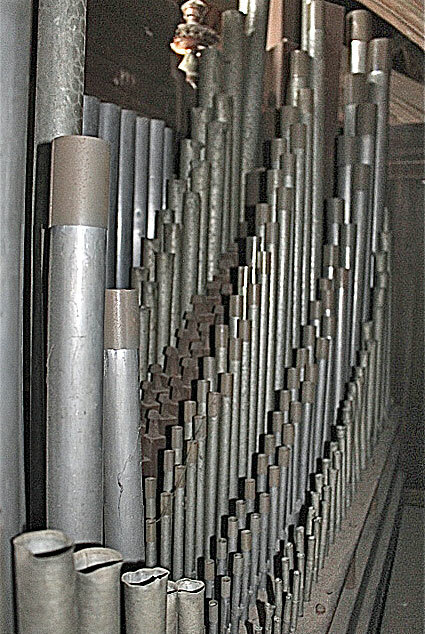 Work of cleaning and maintaining the St Patrick's organ was undertaken by Messrs Brown and Arkley of Sydney in the late 1980s,18 and again in 1995 by Ian D. Brown and Associates, when Ian Brown noted that the name 'W. Davidson' is stamped on some of the Clarionet pipes.19 It would appear, therefore, that Christmas obtained at least some of his pipework from William Davidson of Sydney. 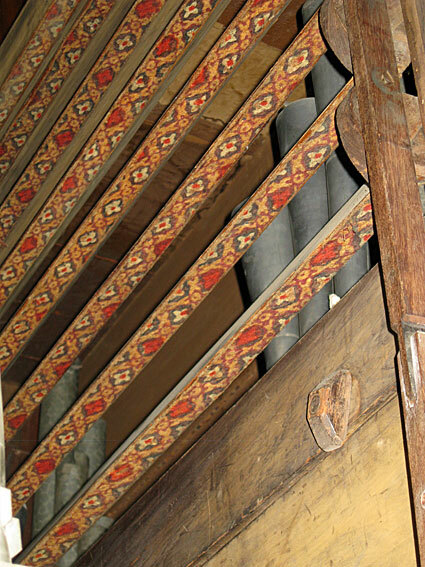 The Swell and Choir, which are both enclosed, are on a common chest, with the Choir opening to the back of the organ. 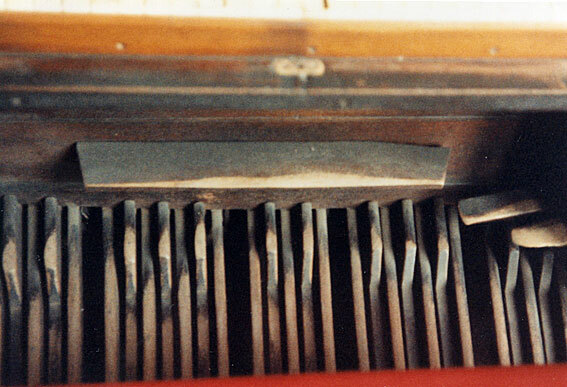 The bottom pipes of the Great Open Diapason, of spotted metal, are tubed off to the rear of the organ, and sit on the same chest as the Pedal Bourdon. 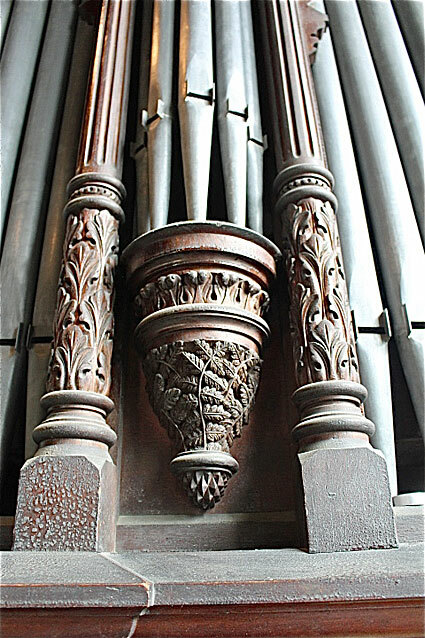 As will be evident by comparison with the organ at Christ Church Anglican Church, Lavender Bay, NSW, several constructional features are reminiscent of William Davidson. 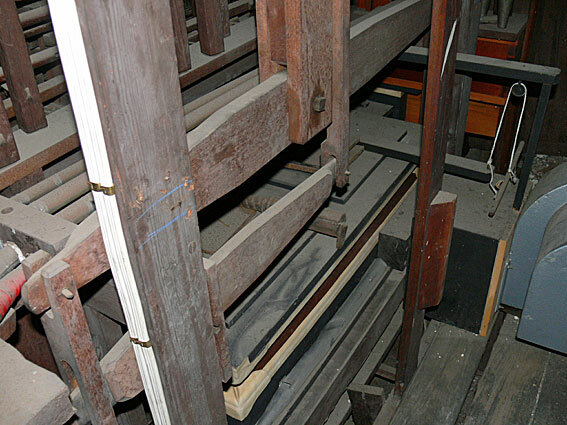 These include the open metal flue pipes, the stop jamb profiles, the stop knob shapes and possibly even the maroon felt bushings.21 It appears that Christmas imported much of his material from William Davidson of Sydney. The stop labels, as photographed in 2014, appear not to have been altered since the early 1950s, although some had been replaced at an earlier stage. Others may have been moved around or swapped, as will be conjectured below. There are minor differences between the specifications recorded variously by Brohan (c.1952), Molloy (1970), Cox (1973 and 2014), and Cook (1988). The stop names below reflect the stop labels as noted in 1973 and 2014, and they are given in the order in which they appear on the jambs. The spelling of stop names was, to varying degrees, standardised by Brohan, Molloy and Cook. Apart from spelling differences, significant variants and other comments are given to the right. 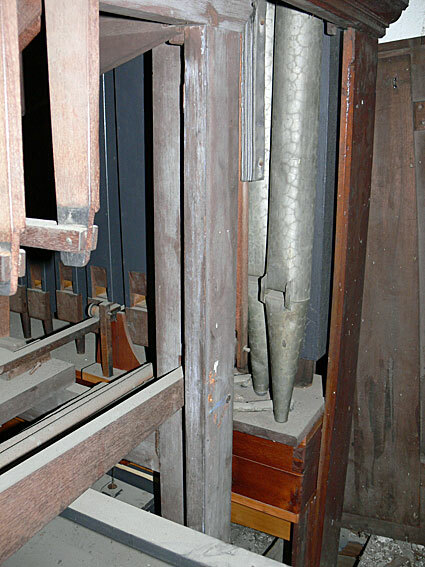 Significant changes appear to have been made before the 1950s on both the Great and Choir Organs. 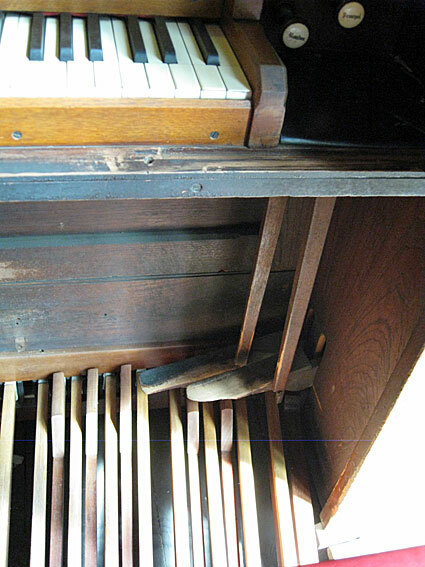 This is clearly an instrument that deserves further internal investigation and, ultimately, restoration. 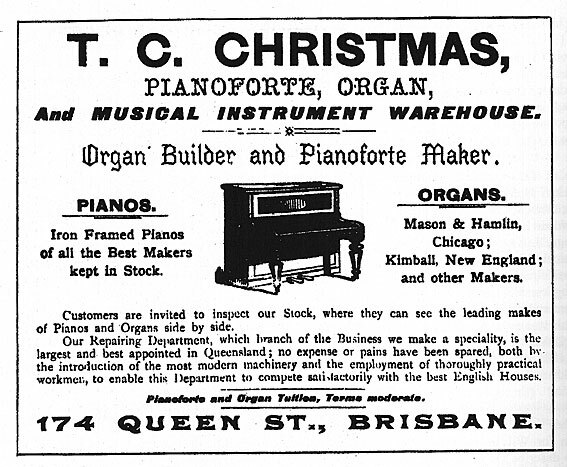 If it was 'built almost entirely' by Christmas, as was claimed in 1882, this was arguably the first organ built in Queensland. 1 Denis W. Martin, The Foundation of the Catholic Church in Queensland (Toowoomba: Church Archivists' Society, 1988), pp. 139, 142. 2 Queensland Heritage Council, Queensland Heritage Register, location 600210; E.J.T. Barton (ed. ), Jubilee History of Queensland: a Record of Political, Industrial, and Social Development, from the Landing of the First Explorers to the Close of 1909 (Brisbane: H. J. Diddams, [c.1910]), p. 138. 3 The Heritage of Australia: The Illustrated Register of the National Estate (South Melbourne: Macmillan, 1981), 4/18. 4 John Maidment, Letter to the Editor, Organ Society of Queensland Newsletter, vol. 15, no. 8 (October 1988), p. 41. 5 E.J.T. Barton, p. 138. 6 J.C.H. Gill, 'Wilson, Walter Horatio (1839-1902)', Australian Dictionary of Biography, Vol. 12 (Melbourne University Press, 1990), p. 531. Online version at http://adbonline.anu.edu.au/biogs/A120597b.htm, accessed March 2011. 7 Graeme Rushworth, A Supplement to Historic Organs of New South Wales: The Instruments, Their Makers and Players, 1791-1940 (OHTA, 2006), p. 103. 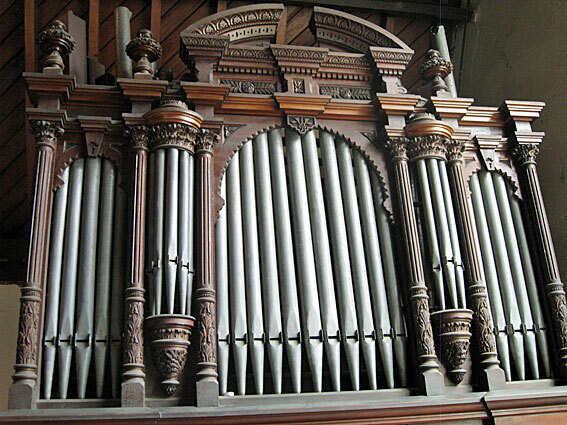 Rushworth's address for Wilson is based on unauthorised access to an unpublished revised draft of the present author's Gazetteer of Queensland Pipe Organs, in which W.H. Wilson had been temporarily confused with the Hon William Wilson, who lived at Wilston House, 42 Watson Street, Wilston. W.H. Wilson lived at Toowong. 8 Geoffrey Cox, Letter to the Editor, Organ Society of Queensland Newsletter, vol. 16, no. 3 (December 1988), pp. 39-41. 9 St Patrick's Church Fortitude Valley: The Early Years, cited in Christopher Cook, 'St Patrick's, Fortitude Valley,' Organ Society of Queensland Newsletter, vol. 15, no. 5 (April 1988), p. 5. 10 The Brisbane Courier (4 December 1882), p. 5. 12 Sands & McDougall Directory (1877), p. 231. 13 The Brisbane Courier (19 April 1893), p. 2; The Brisbane Courier (17 July 1893), p. 4. 14 The Queensland [Wise's] Official Directory 1896-97. 15 Personal communication to G. Cox from Mr E.R. Salisbury (organist of the Fortitude Valley Methodist Church, 1935-42. 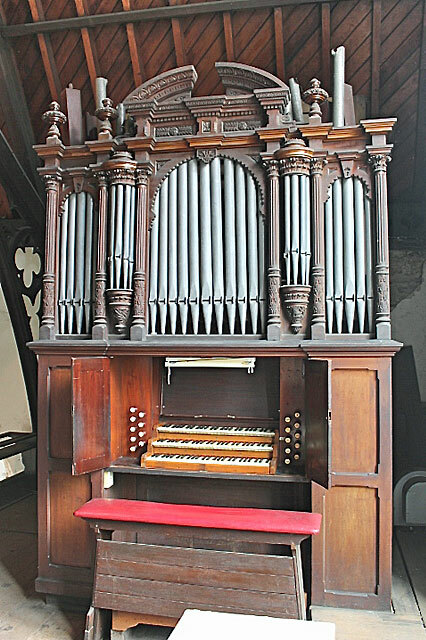 16 Minutes of the Parochial Council Meeting, Holy Trinity Church, Fortitude Valley (February 1896), cited in Charles Clark & Geoffrey Cox, 'The Organs of Holy Trinity Church, Fortitude Valley, 1874-1974,' Organ Society of Queensland Newsletter, vol. 1, no. 2 (May 1974), pp. 2-4. 18 Christopher Cook, p. 7. 19 Noted by Ian Brown in The Sydney Organ Journal, vol. 26, no. 4 (Spring 1995), pp. 6-7. 20 Observations by David Cahill and John Maidment, September 2014. 21 Observations by Kelvin Hastie, September 2014. 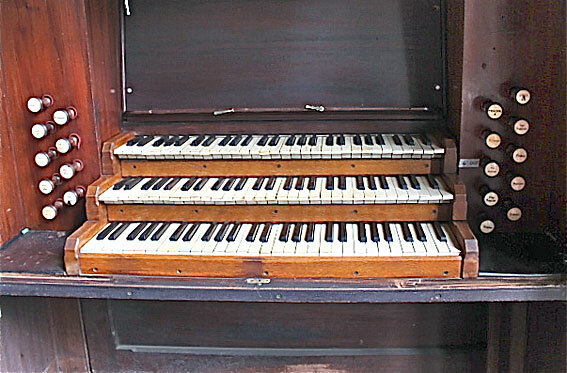 22 Specification noted by G. Cox, 1973 and 2014; additional details from the Collected Organ Specifications of Bernie Brohan (c.1952); specification noted by David Molloy (1970); and Christopher Cook, p. 5. 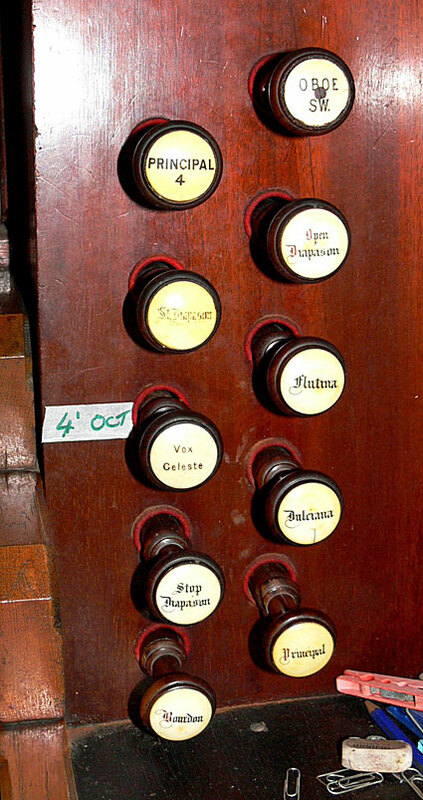 23 David Molloy (Organist of St Stephen's Cathedral 1977-79), personal communication to G. Cox, August 2018.